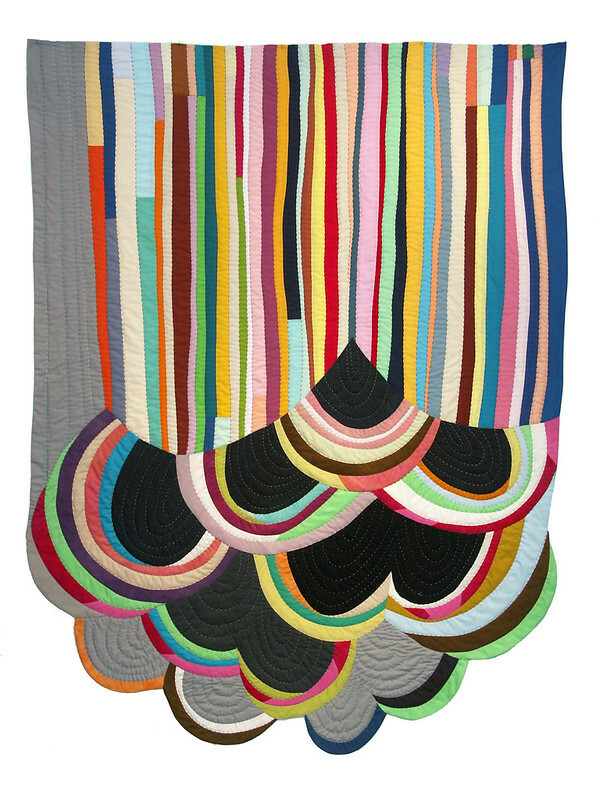 Rainbow Cloud Quilt, 2012, 52" x 68" Made with hand-dyed and commercial solids, machine pieced, hand appliqué, hand quilted. I imagined this piece as large, sensual drops of black rain or tears during a time of sadness and loss. 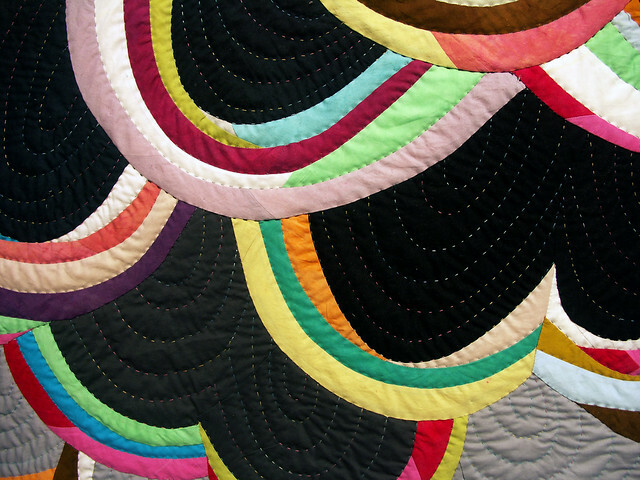 As I was making this quilt I realized that there is a lot of rainbow around the dark spaces in life. I guess we can choose which parts to see, the positive or the negative. I like keeping both in view. All rainbow would be grandiose, and all dark, morose. 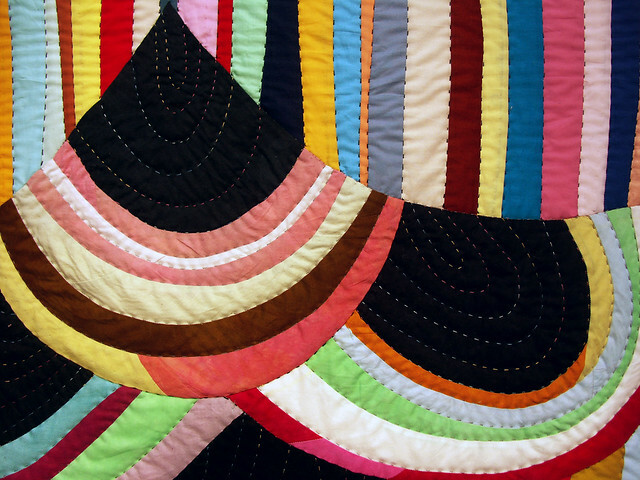 I developed a bias strip curve patchwork technique for this modern improv quilt. I machine pieced free-cut continuous bias strips to create the curved lines, and then hand-appliquéd the large curved patchwork segments to the strip-pieced background. I created Negative Space one step at a time through an improvisational process without templates, sketches or rulers.